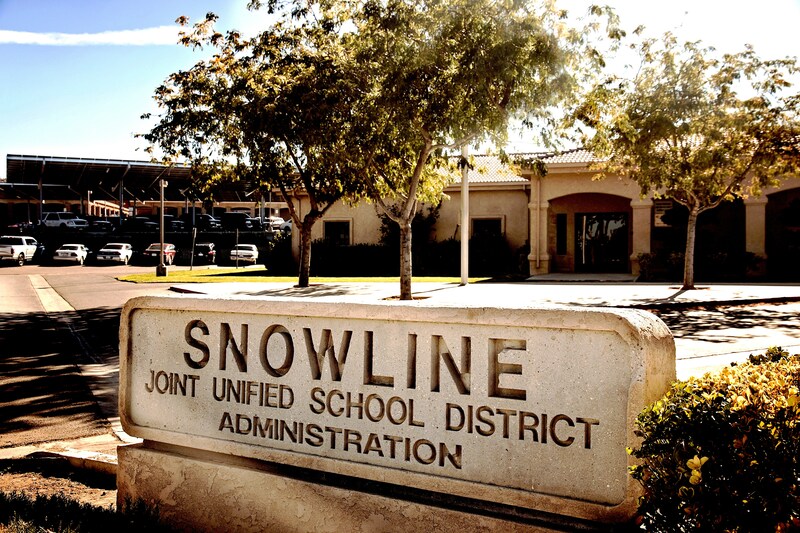 "The Snowline Joint Unified School District Police Department is committed to providing a safe, secure learning and working environment for all Snowline Joint Unified School District students and employees. 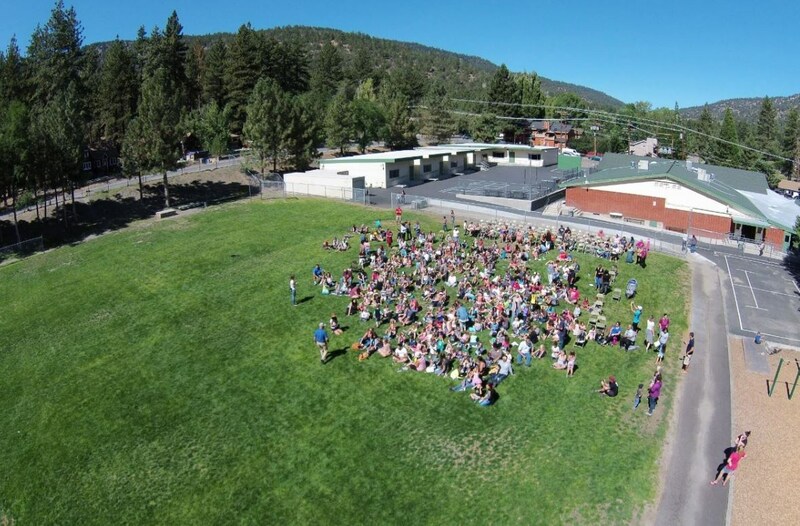 This is accomplished through a cooperative effort involving school district employees, parents, law enforcement agencies and the community." 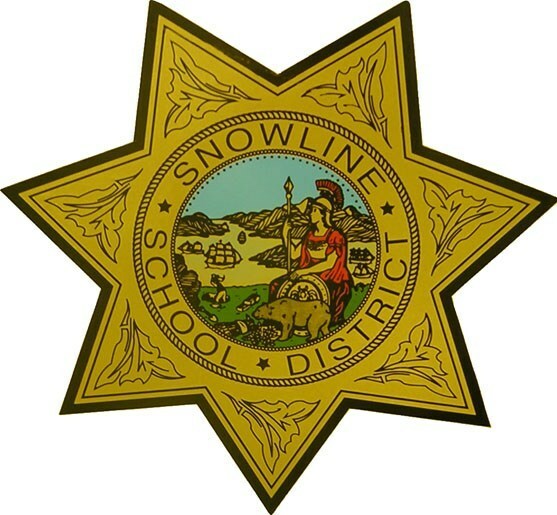 To volunteer in the Snowline Joint Unified School District please fill out a "Parent Volunteer" form and return it to your school of choice. "What's Up" By SafeHouse is an app providing anonymous text-communication, 24 /7 with a licensed mental health professional from SafeHouse. 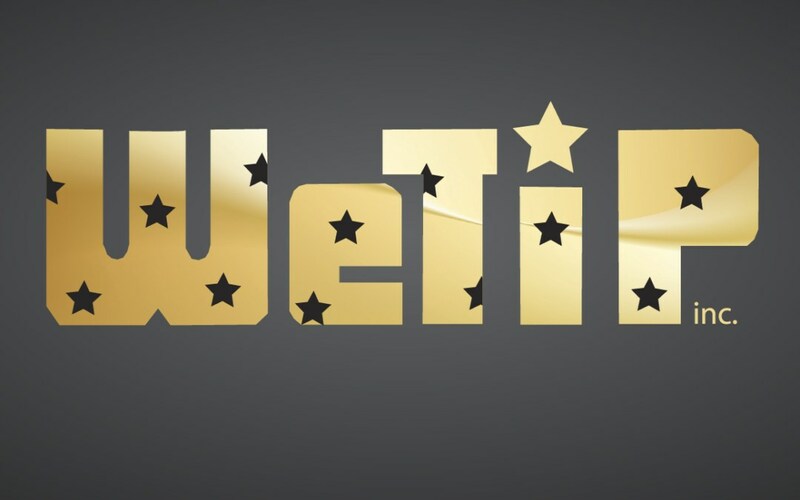 Young people 11-24 who are struggling with drug or alcohol abuse, depression, suicidal thoughts, difficult family situations, bullying and other issues can receive help while maintaining anonymity. Youth are also encouraged to text about any friends they feel may be struggling or are in danger. SafeHouse of the Desert offers a free, 100% anonymous, 24/7 crisis line manned by trained clinicians.This service saves lives. 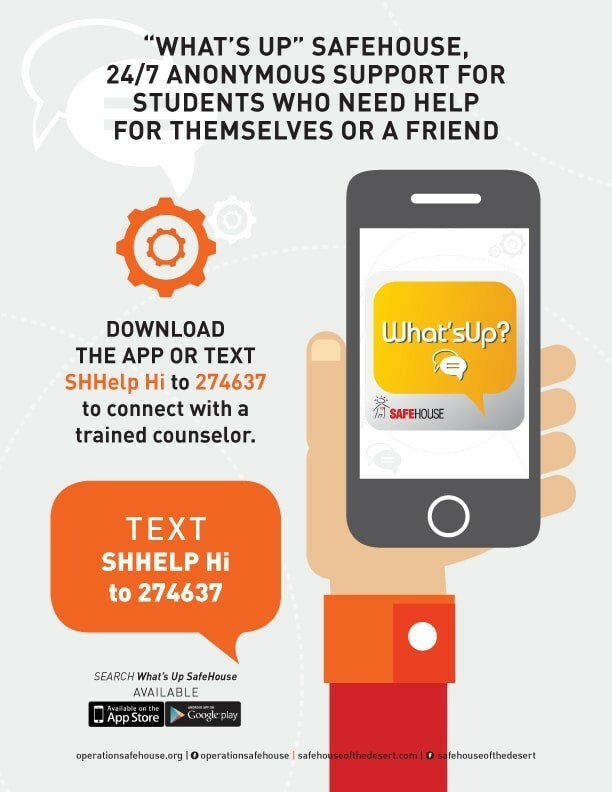 Young people can also direct text to 274-637 and type "SHHELP HI" in the message to receive immediate help 24/7. It's always 100% anonymous! 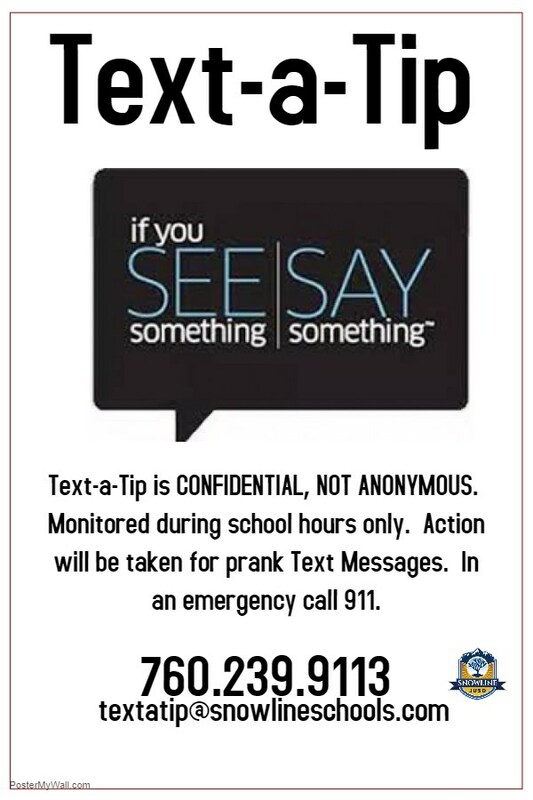 If you have any information regarding the person(s) involved in a crime against your school, you are encouraged to call "We Tip" immediately at either of the numbers listed below. You may be eligible for a reward if your information leads to an arrest and conviction. 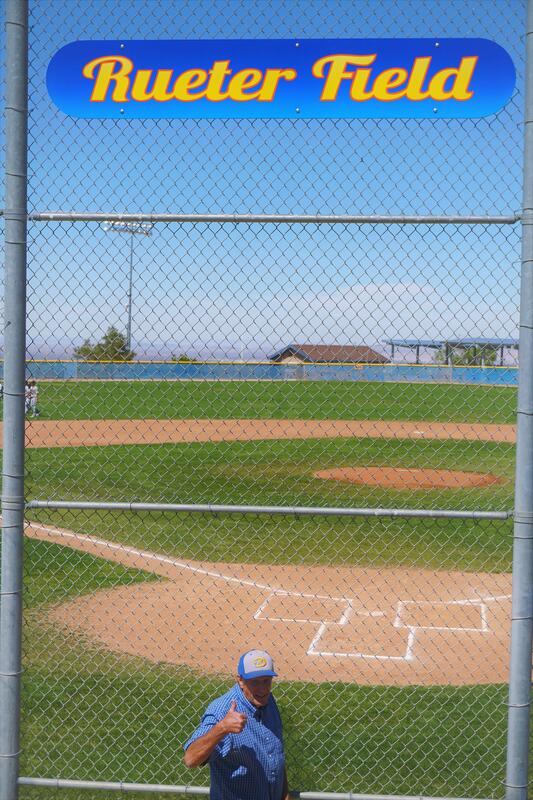 No one will know who made this call!